I often pass this barn on the way to the farm. It's one of the Ohio bicentenial barns chosen to represent each county in the state. The barn is in pretty sad shape, but currently undergoing rennovation. 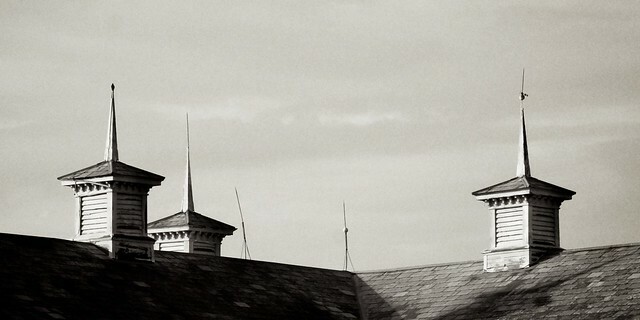 No matter what direction you approach the barn, you can see this roofline with all of its interesting details. It's a fine old barn. Nice cupolas! Love such details on barns, you have a good eye for that sort of thing.